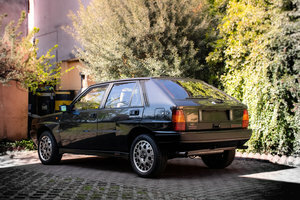 Often unfairly dismissed as the legendary HF integrale's lesser sibling, the HF Turbo was the original performance entry in the Delta range and deserves to be appreciated on its own terms. It's an uncomplicated hot hatch with no power steering, no ABS and no fussy gadgetry, just a punchy engine producing 140bhp mated to a well balanced chassis and all weighing in at just 1000kg. This results in the sort of involving driver's car that manufacturers have, sadly, long since abandoned and a truly exhilarating B-road blast. 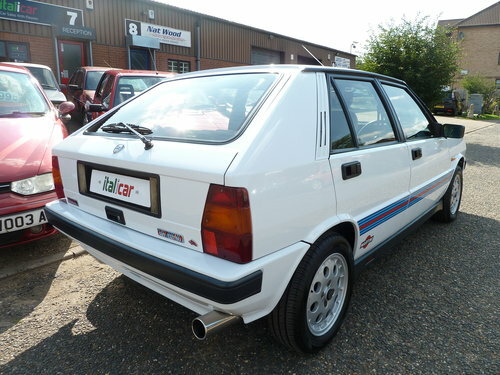 The example we're proud to offer for sale here is an absolute stunner. 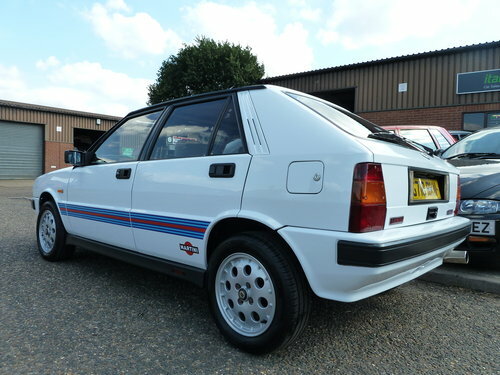 The gleaming white paintwork shows barely a mark anywhere and is accented perfectly by the iconic Martini livery - is there a more evocative combination for a motorsport fan of a certain age than a white Lancia wearing these decals? To see many more pictures and a full HD video showing the car's condition in all its glory, head over to the full listing on our website. 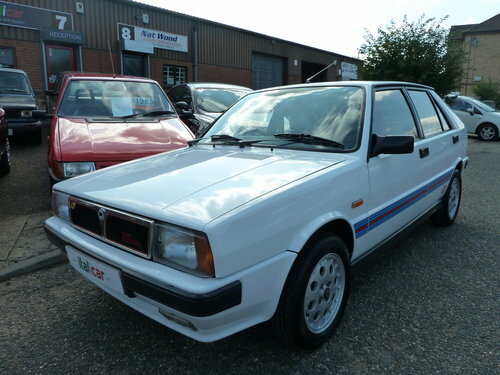 It's also pleasingly unmolested with everything just as it left the factory under the bonnet (no silly dump valves!) 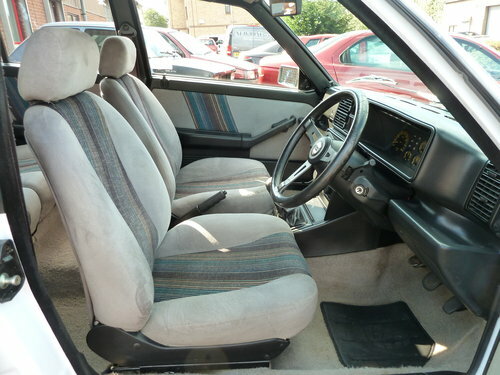 and it even boasts the original stereo tucked away in the dash. 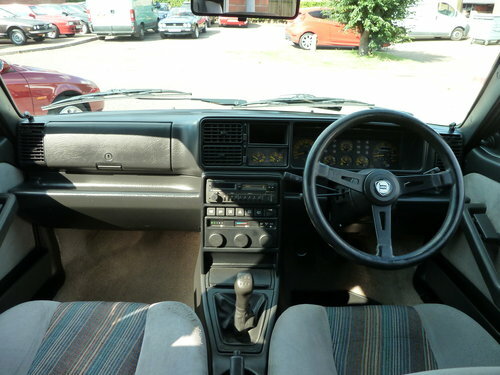 Looking at it, and driving it too of course, it's clear just how pampered this HF Turbo has been. 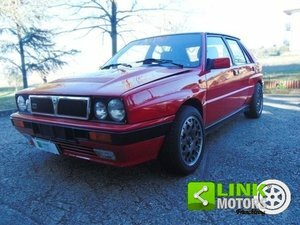 The previous owner has enjoyed it for nearly a decade and has lavished it with no shortage of care and attention. 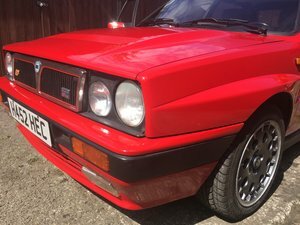 There's a stack of service history in the file, recording a new turbo being fitted around 8k miles ago, a clutch at 73k miles and, in the past year alone, it's had several thousand pounds spent upon it. There was a speedo' change in 2010 when the original developed a fault (this original head is included in the sale, to prove the readings), but the collated mileage still stands at just 88,581. 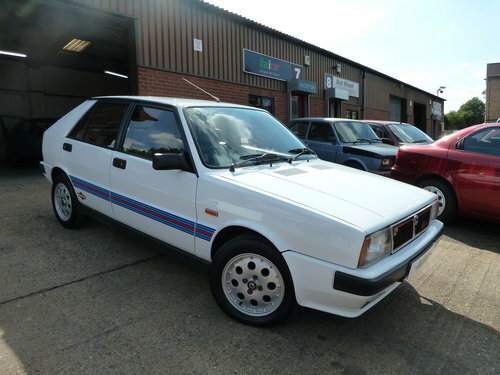 The MoT runs through until June 2019 and it is, of course, completely HPI clear (ie. it has never been involved in an accident, never stolen and it has no outstanding finance agreement upon it). 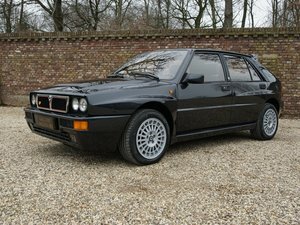 With just 25 of these very special cars left registered on UK roads, we doubt you'll find many as good as this one, and even fewer that are in better order.